'STAR WARS:EPISODE VII' Are We Witnessing The Rise of a New Dark Apprentice? Despite the lack of Star Wars: Episode VII news at Disney's recent D23 Expo some details are now emerging across the inter-web. So rumor control: We know that Disney will really have to begin production soon to meet their aggressive 2015 release date so wheels are definitely in motion. 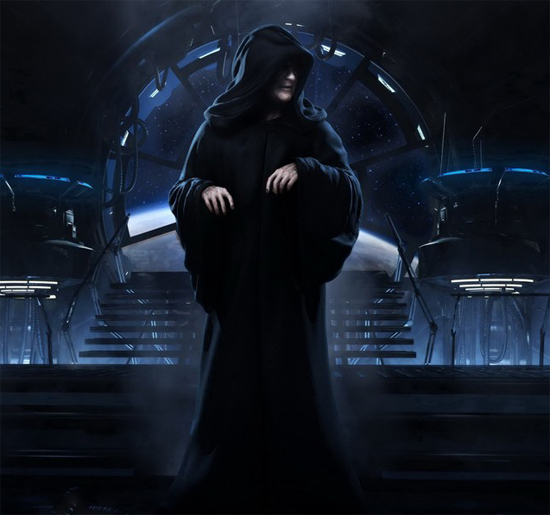 Earlier British site Jedi News UK posted a rumor that actor Ian McDiarmid who played Senator Palpatine/ Sith Lord Darth Sidious who would become Emperor Palpatine at the end of Revenge of the Sith is set to return in Episode VII. As you know he died where we last left off with Lucas' new trilogy. McDiarmid will by all accounts be reprising his role but whether as the original or a clone is unclear. Latino Review then expanded on that rumor stating Palpatine comes back as a Force Ghost, just as Obi Wan Kenobi did in the original movie. Sith Lords mastered similar techniques to Jedi which in some cases allowed them to physically interact with their environment. Latino Review then stated this weekend that Ewan McGregor would be back as Obi-Wan Kenobi. What many are believing now is that Palpatine had a new apprentice before he got killed. Nobody but J.J. Abrams, Michael Arndt & their clique have seen the script they are working on but its believed that no storyline comes from any of the Star Wars books or comics. I'm reading: 'STAR WARS:EPISODE VII' Are We Witnessing The Rise of a New Dark Apprentice?Tweet this!